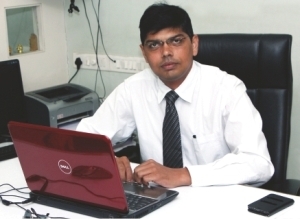 Mr. Manish Jain is founder of Cyber Security India. He is in this field for 14 years. The motive of him to starts this company is AWARE TO PEOPLE ABOUT CYBER SECURITY, CYBER CRIME AND HOW TO PROTECT OUR TECHNOLOGY. The company strictly believes in that AWARENESS CAN REDUCES A CRIME RATIO AND INCREASE PROTECTION. We are pleased to introduce ourselves Cyber Security India as one of the leading and pioneer consultant, trainer and service provider in various fields of Cyber Security Prevention & Detection. We are backed with more than 12 years of IT Field experience in teaching various courses on Computer Education, Software Development, and Cyber Securities. We have our own setup, infrastructure with Wi-Fi lab to fulfill all requirements on Information Technology. We can provide our services detailed below. Various courses on Cyber Security Prevention & Detection. Consultancy on Cyber Security, Cyber Crime cases investigation and resolution with the Law Enforcement Department. Conduct seminar on Cyber Security prevention & Detection awareness with Law Enforce Department, Colleges, Schools, Industries, and Service Provider. Conduct training program on Cyber Security prevention & Detection with all above department/organization/company as required. Provide Wi-Fi & Internet Security Solution for Small-scale, middle scale and large scale industries. Develop Web site and Provide web-based solution for Institutions, organization, Police Station etc. We are currently helping out the Police Department of Gujarat in various investigations on Cyber crime cases registered. We are also running various courses on Cyber security professionals. We are having a team of qualified faculties and investigators and trainers who are experts in the IT field. We shall be pleased to provide our services to you at anytime of your requirements.